Adam Bryant conducts interviews of senior-level executives that appear in his “Corner Office” column each week in the SundayBusiness section of The New York Times. 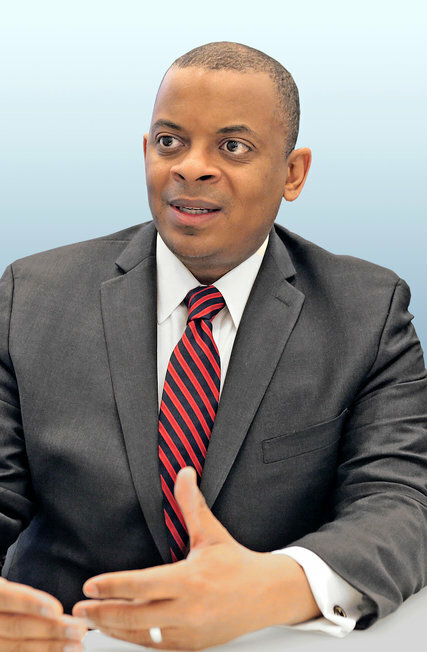 Here are a few insights provided during an interview of Anthony Foxx, United States transportation secretary. To read the complete interview, check out other articles, and obtain subscription information, please click here. I grew up in Charlotte, N.C. The year I was born, the school system had just been through a major desegregation case that legitimized busing as a means of implementing Brown v. Board of Education. Charlotte was a bit of a test bed for busing, and it was very successful for my years through the school system. I was the first person in my family to go to integrated schools, and that was a formative experience for me because it really showed me on a daily basis that I wasn’t better than anybody, but I certainly wasn’t any lesser than another person, either. My family unit was my mom, who was 19 when I was born. My father wasn’t in the picture. My grandparents and my mom basically raised me. But my mom interrupted college to give birth, then went back to school, got her master’s degree and then did a variety of jobs around the country. I stayed in Charlotte with my grandparents, and they were like parents to me, as well. They were both former teachers, and the type of teachers who would spend extra time with students after school helping them. And so my days after school were filled with them asking me how I was doing on my homework. And if I wasn’t doing particularly well, I got the help I needed. So there was a lot of reinforcement of education. Were there signs of leadership abilities at a young age? I was one of the younger kids in my cohort of buddies in the neighborhood, so there was a fair amount of razzing me for most of that time. But I think there were some signs of leadership in cross-country running. I wasn’t the fastest on the team, but I was always someone who urged those who were fast to move faster, and I helped people stay focused and get through some difficult practices. How have your mother and your grandparents influenced your leadership style? My mom’s just mentally tough. She’s got all kinds of reasons to be a little dour or make excuses, but she never does. You just get up every day, and you hack it out. My grandfather was the politician of the family. He had been a principal in the old segregated school system and always had to go to the white school board to ask for resources. He had to have good relationships with pretty much everyone across the community and found ways to advocate for the things he needed. When he retired, he got very involved in politics and believed that politics could make a difference in people’s lives, and I probably got some of that from him. My grandmother was the heart, and always cared for people.